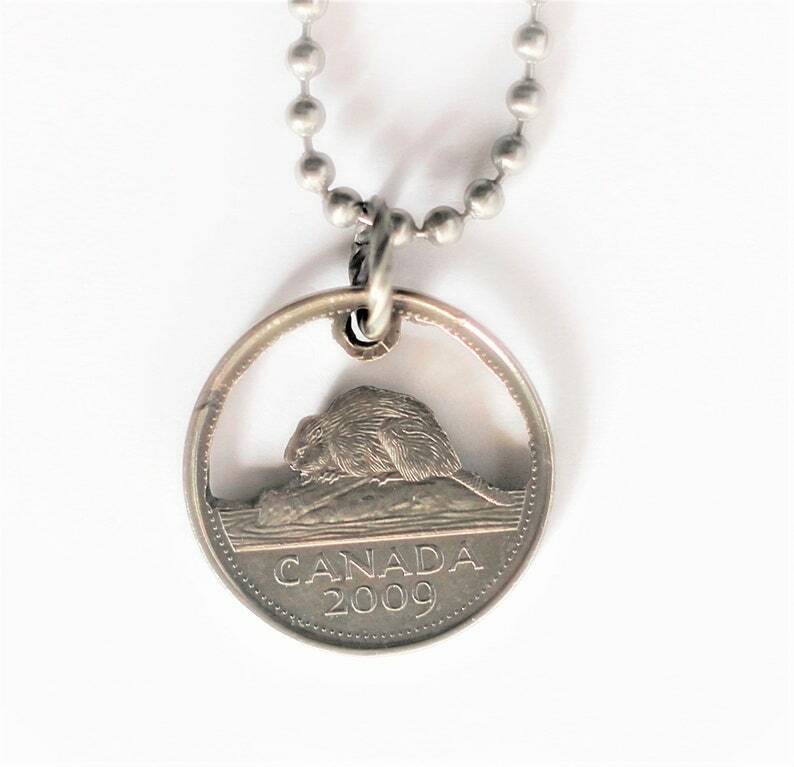 This cut coin necklace was made from a slightly darkened Canada coin, dated 2009. 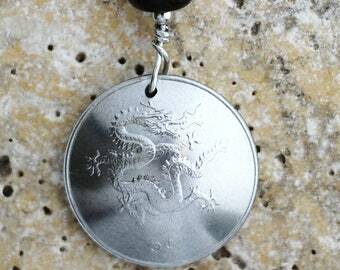 The darkened metal gave it the light smoky, gunmetal color seen in the pictures. 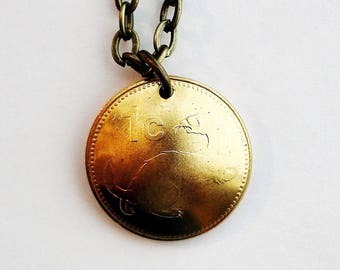 Depicted on this coin Beaver and the date, 2009. The Beaver is Canada's National Animal. 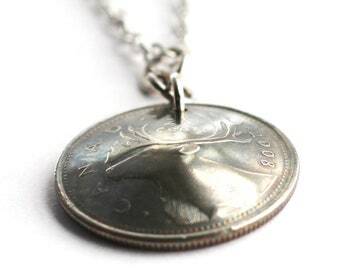 After I drilled the coin, cleaned, and polished it. Using a jeweler's saw, I cut away the blank spaces around the beaver. Buffing and polishing brought out the beautiful image that you see. 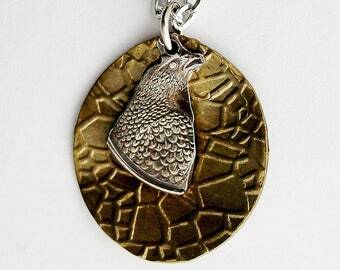 This is truly a unique piece of coin jewelry. 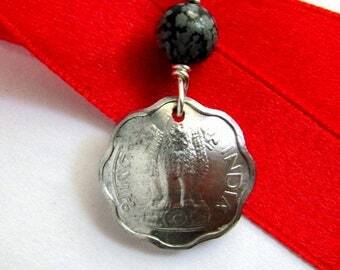 The coin hangs from a stainless steel ball chain. 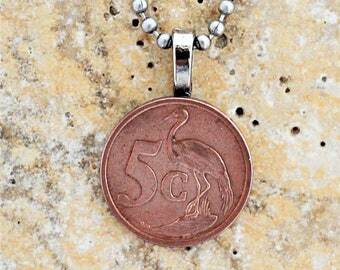 The circulated coin is 15/16 inch (24mm) in diameter and in good condition. It is suspended by a sturdy ring from a 30 inch (76.2cm) stainless steel ball chain secured by a connector.